Little, Brown Books for Young Readers, 9780316482516, 416pp. Time Reality. Space. Mind. Soul. Power. 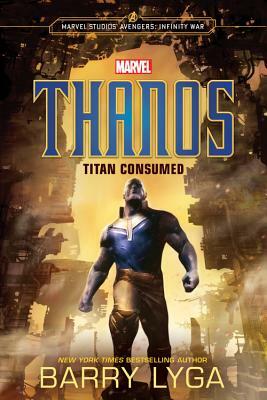 Born on a doomed world and made an outcast for his physical deviancy and intimidating intellect, Thanos believes he sees something everyone else chooses to ignore: a way to save his home and the people of Titan for generations to come. But what he perceives as genius, they see as madness. Now exiled from his homeworld, Thanos is determined to find the means to return to Titan and implement his plan. His journey through the galaxy is a desperate race to save everything. Thanos will be successful-no matter how many billions have to die to bring balance to the universe. Learn the origins of the most formidable foe the Avengers, Doctor Strange, the Guardians of the Galaxy, and Black Panther have ever faced-a foe whom even a group of remarkable people, pulled together to fight the battles nobody else could, failed to stop.